As the role of social protection in social development is increasingly emphasized, there is a need to ensure that social protection programmes are not only efficiently managed but express core values such as rights which have played a vital role in shaping social development practice over the years. However, given the pressures to deliver services efficiently, officials often prioritize managerial goals rather than values, and they do not always appreciate the need to enshrine a rights-based approach in their daily practice. For this reason, efforts should be made to sensitize administrators to these values. There are multiple challenges to incorporating a rights-based perspective into the administrative activities of government bureaucracies responsible for social protection programmes and ensuring that officials are committed to adopting this approach. Although many different challenges can be identified, the following groups them into three major categories. The first challenge is to ensure that government officials are not only effective managers and administrators, but also cognizant of rights, sensitive to rights issues and able to implement a rights-based approach on a daily basis. Because of the importance accorded to human rights over the years, many administrators are aware of the rights-based approach but this awareness does not always find expression in their day-to-day activities. Incorporating rights into daily practice requires that managerial structures be designed to promote their implementation on a routine basis. Ministers and senior civil servants need to place much more emphasis on rights in their departments and should use various techniques to ensure that this is achieved. Possible techniques include incorporating rights into policy and procedure manuals, promoting rights at staff meetings, and ensuring that the right-based approach is taken into account when evaluating outcomes. The extent to which officials are sensitized to rights and able to adopt rights in their daily activities should also be considered when they are reviewed for promotion or new appointments. Officials should work more closely with non-profit and activist organizations committed to a rights-based approach. By sharing experiences as well as challenges with these groups, they are likely to be sensitized to rights issues and incorporate them into every day administrative practice. Improved training both in the initial recruitment stage and in ongoing in-service training programmes will also be required. Many civil service academies expose new recruits to human rights but do not devote sufficient attention to the mechanisms by which rights can be incorporated into regular administrative activities. Clearly, enhanced training at this initial stage can make a major contribution. A second challenge is to ensure that government officials responsible for social development programmes and social protection in particular have a high degree of personal commitment to a rights-based approach. This approach is more likely to be implemented when staff are not only engaged in meeting targets and implementing policies efficiently, but are personally committed to its ideals. In many countries, the civil service is highly regarded and competition for places is intense with the result that very capable people are recruited to government positions. While this is commendable, personal commitment should also be emphasized. As the Fabian founders of the London School of Economics argued more than a century ago, an efficient civil service which is committed to social ideals is most likely to bring about progressive social change. Civil servants who lack these values are less likely to embrace a rights-based approach and incorporate it into their daily activities. This is particularly the case in countries were they are appointed because of personal connections or membership of particular ethnic or religious groups. Although it is obviously difficult to instill personal commitment or to require that it is taken into account when appointing new personnel, senior officials and managers should seek to motivate their staff to embrace the values on which social development is based. Leadership and personal example can play a major role. However, it is equally important that political leaders also demonstrate their dedication to rights and other social development values. This leads to the third challenge which relates to wider issues of governance and ideology. Many governments have the acceded to international human rights treaties and in many countries, rights are enshrined in national constitutions and domestic legislation. In many countries also, rights are justiciable so that the failure to implement a rights-based approach can be redressed through the courts. Indeed, many examples of how a rights-based approach has been effectively implemented in social development can be given. On the other hand, many governments pay lip service to rights and fail to ensure that a rights-based approach pervades policy and practice. In other cases, corruption and incompetence impede the implementation of rights. Countries that lack well-developed participatory institutions and relegate women and minorities to the margins of political life are also unlikely to incorporate a rights-based approach. Similarly, the prospects of adopting a rights-based approach in countries with bitter political, ethnic or religious divisions and endemic violence are limited. Clearly, an ideological commitment to rights as well as the values that promote social solidarity and democratic participation is needed. There are certainly no simple solutions to this problem. However, international support as well as domestic pressures from non-profits and faith-based organizations and activist groups can make a difference. At the international level, current pressures on governments to ensure that rights feature prominently in their social programmes should be redoubled. At the same time, as the record of implementing the Millennium Development Goals reveals, much has been achieved. Despite unevenness, many of the world’s governments are implementing policies and programmes that enhance the well-being of their citizens. Optimism should also accompany continued efforts to promote a rights-based approach to social protection around the world. 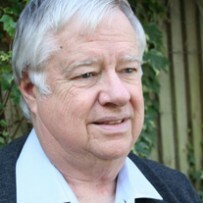 James Midgley is Harry and Riva Specht Professor of Public Social Services and Dean Emeritus of the School of Social Welfare, University of California, Berkeley. He has published widely on issues of social development, international social welfare and social policy. Among his most recent books are Grassroots Social Security in Asia (Routledge, 2011; editor with Mitsuhiko Hosaka); Social Protection, Economic Growth and Social Change: Goals, Issues and Trajectories in China, India, Brazil and South Africa (Elgar, 2013; editor with David Piachaud) and Social Development: Theory and Practice (Sage, 2014). He is a Fellow of the American Academy of Social Work and Social Welfare and holds honorary professorial appointments at Nihon Fukishi University in Japan, the University of Johannesburg, South Africa, Hong Kong Polytechnic University, and Sun Yat-sen University in China.